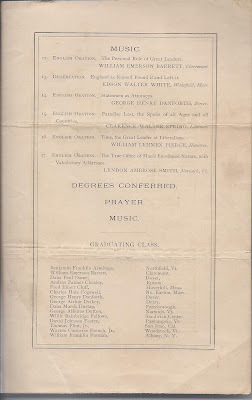 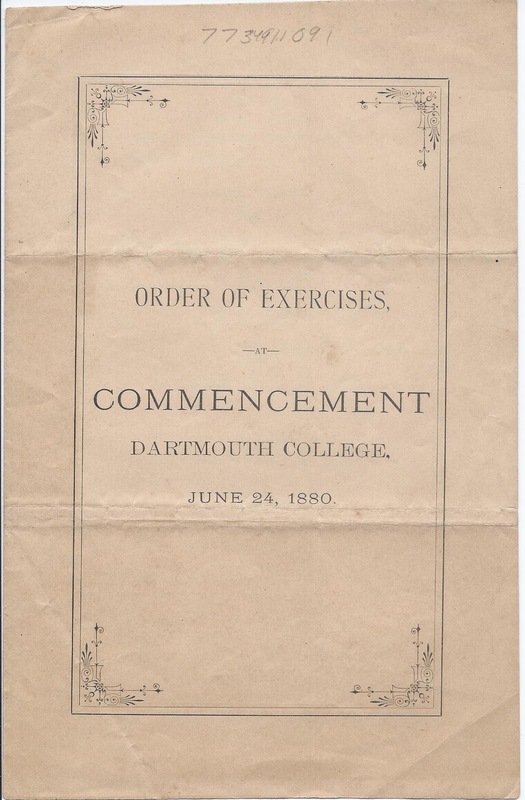 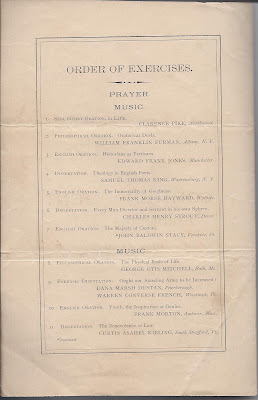 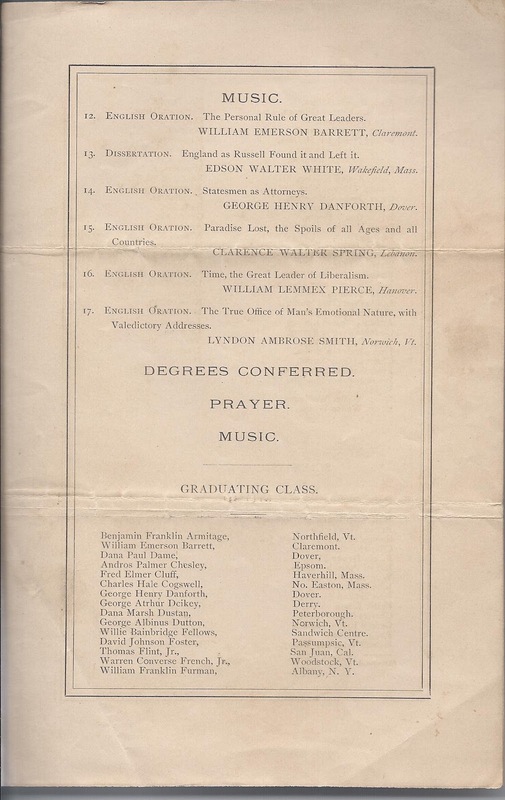 Order of Exercises at Commencement, Dartmouth College, June 24, 1880. 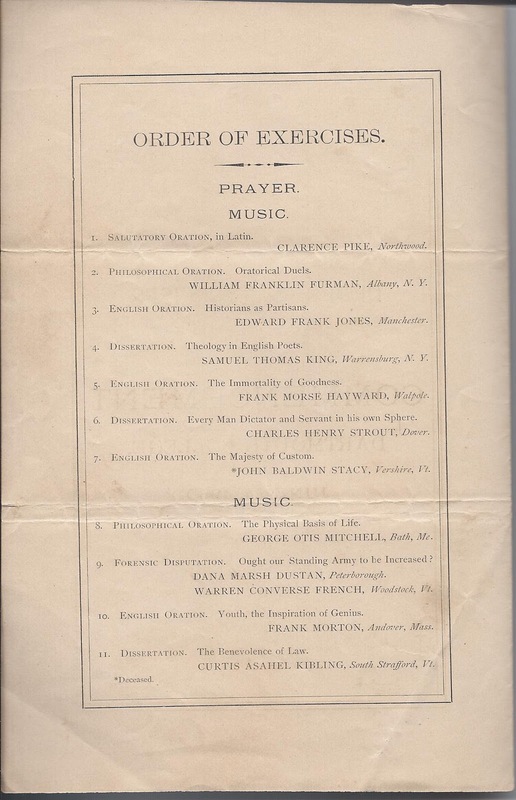 Paper, approx 11-1/4" x 9", folded in two, to create four panels. 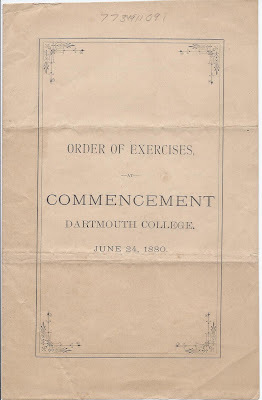 Check the Heirlooms Reunited archives for other Dartmouth commencement programs and an obituary record of alumni prior to 1882. 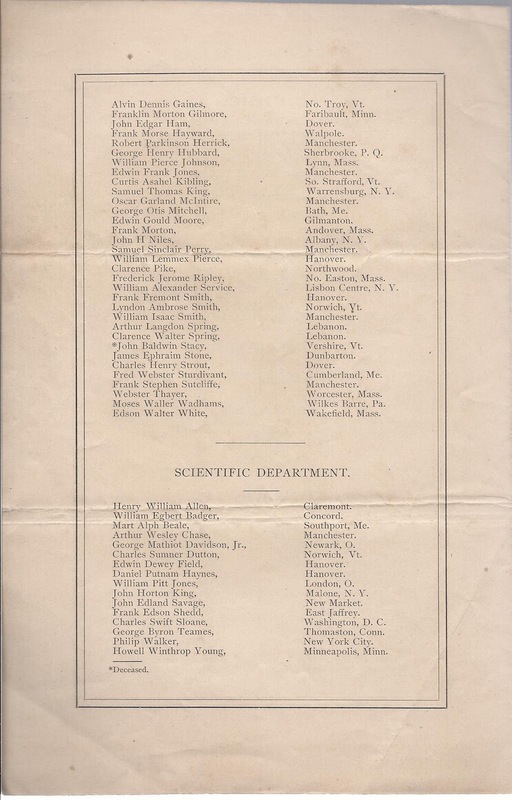 George Henry Hubbard of Sherbrooke, P.Q. 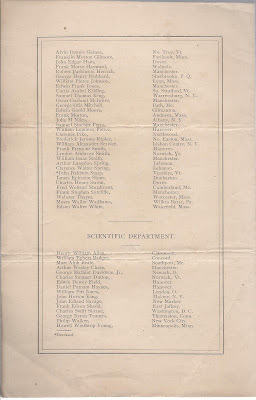 Charles Swift Sloane of Washington, D.C.